#SparkHouseSpotlight is a monthly series profiling poets, educators, and organizers doing transformative work in the fields of arts and education. 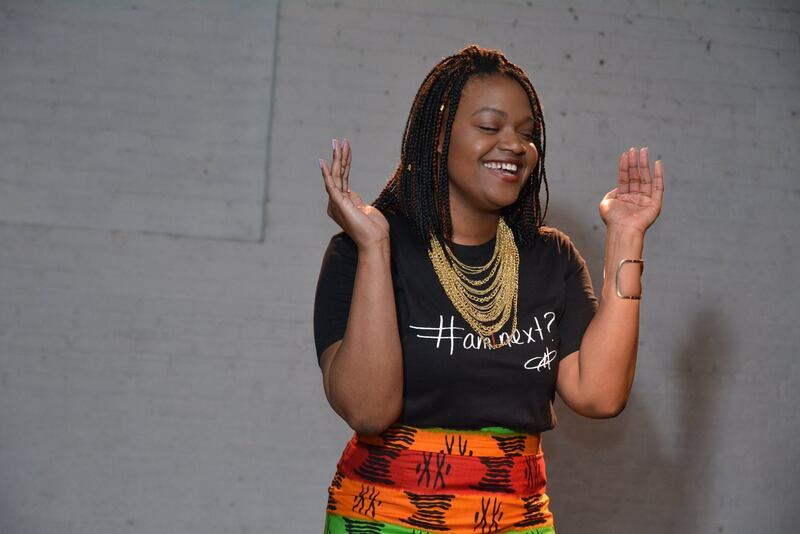 This month, the spotlight shines on Felicia A. Henry who speaks with us about her sense of urgency and calling to youth work as poet, activist, and restorative justice social worker. What excites you most about poetry? To quote one of my best friends, “Words are important. Words mean things.” Poetry gives me “the” words. Poetry is the vehicle for me to express my truth in a way that no regular conversation could. That is exciting because it gives me something to be confident in, knowing that no matter what, pen to paper allows me to fully be me. Who is a poet who moves you to your core? Why? Jackie Hill Perry. I love her! She was the first poet I connected to that was able to combine her love of spoken word and her faith to create pieces that spoke to the reality of life. Faith is so important to me and sustains me in my youth work. Spoken word is also one of the wells I pull from to push me. Jackie combines those things and speaks the truth that encourages me in moving forward in both realms. What brings you to the work you do every day? Why stay? High school brought me to this work. When I think back to my classmates getting locked up or harmed by violence, missing school days or being hypervigilant, I realize that was the moment I knew this was my calling. My activism started in high school. My inquiry started in high school. My compassion and empathy started in high school. From fighting to keep our school open to being a peacemaker for feuding gang members, I knew I found my niche. I choose to stay because this is my life’s calling. I don’t fit anywhere else. This is what I think about late at night and early in the morning. I’m constantly asking myself how I can serve these young people better, how I can teach them what I know. Nothing else challenges me or brings me joy like this work does. What is most challenging about your role as social worker? Most enjoyable? Aghhh!! The most challenging thing about being a social worker is “holding” for young people. Young people come into my office and give me their best things, but also give me the stuff that hurts, that traumatizes, that angers, and that saddens, all to hold. They need someone to hold it, and holding it means that you must be fully present to feel their things, but also to feel your own. And that.ain’t.no.joke. The most enjoyable thing is the laughter and genuine joy that the young people give me and make me feel. I could be having a terrible day, and just the sound of the way they say my name or sing a song lyric or give me a hug makes it all turn around. Talk to us a little bit about Behind the Walls, Between the Lines? How did it start? Why is it necessary? BTWBTL is a movement to deepen awareness about the dehumanizing, violent nature of the criminal justice system in America and empower activism aimed at its dismantlement. The project uses spoken word, poetry, and other artistic mediums as a vehicle for people directly impacted by state-sanctioned violence to speak to the injustices of these systems in ways that inspire action. It was birthed as a result of a research project I did on children of incarcerated parents in my senior year of college and then solidified as the death of Michael Brown weighed on my soul three months later. It is necessary because we need to create avenues for people to wrestle with the impact of the criminal justice system in ways that simultaneously empower them to act upon that recognition of that reality. Art has the power to transcend lines—social, economical, political, etc. and thus is the perfect vehicle to create those avenues. How do you envision yourself shaping the future of restorative justice and the criminal justice system? I envision myself making restorative justice accessible to people impacted by the criminal justice system. People impacted, both directly and indirectly, are looking for spaces to heal, looking for spaces to ask the questions and begin the journey to the answers—restorative justice provides a space to do just that. Unfortunately, we’ve taken restorative justice and created superficial spaces where we aren’t prepared to dig for the long journey and that don’t even include the folks whose journey it is. I plan on bringing restorative justice to those folks—to the prisons, jails, schools, households, on the block, so that it can be a part of their fabric. If you could give adolescent Felicia a single piece of advice, what would you share with her? Be easy lemonsqueezy! But seriously, I would tell her to take a deep breath, and take it all in. I spent so much time looking forward and doing things for the future that I missed a lot of the moments that I could have reveled in while they were happening. I didn’t know I would need to draw on those moments–the beauty in the regular day, to be sustained in doing the work I had planned for. Born and raised in Brooklyn, NY, Felicia A. Henry has always had a commanding presence. Her platform is poetry, and her skill is evolving with every stroke of the pen. She is a lover of Christ. Social Worker. Visionary. 20-something trying to figure out the meaning of life. A Temple University alumna, Felicia received her Masters of Social Work degree from the School of Social Policy and Practice at the University of Pennsylvania. Felicia currently works as a Restorative Justice Social Worker with justice-involved youth in Brownsville, BK. This summer, if she’s not catching up on a Law & Order SVU marathon, you can find her “taking a deep breath” on her summer porch! For more information on Felicia or BTWBTL, contact her at vcubed@feliciahenry.com.